I worked as the sole designer on a team whose mission is to create real-world value for businesses from ad solutions that drive transactions. We executed quickly and saw immediate growth with several experiments. Below are 3 of the high impact projects. Some of my more visionary projects have not yet been released and therefore cannot be shared. 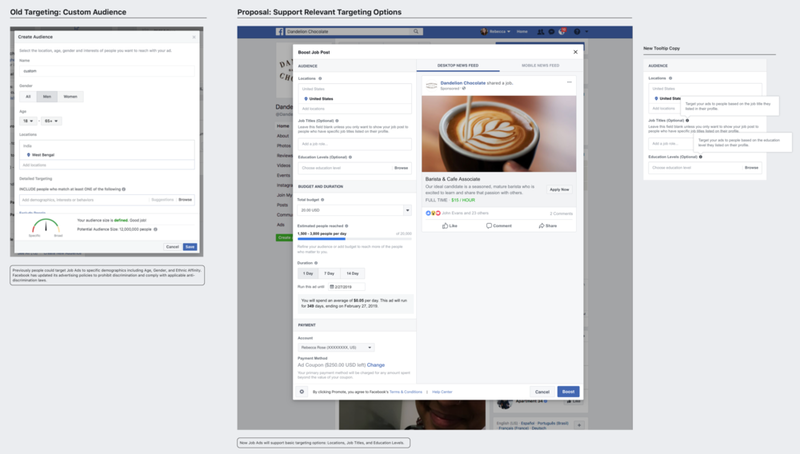 Less than 0.1% ads created by small and medium businesses who use Facebook's lightweight ad interfaces are tracked and optimized with Facebook Pixel, which enables accurate attribution of offsite conversions, or sales that happen outside of Facebook. Until native event ticketing on Facebook is more widely adopted, offsite conversion attribution, such as ticket sales on Eventbrite, is critical to Facebook advertiser retention. 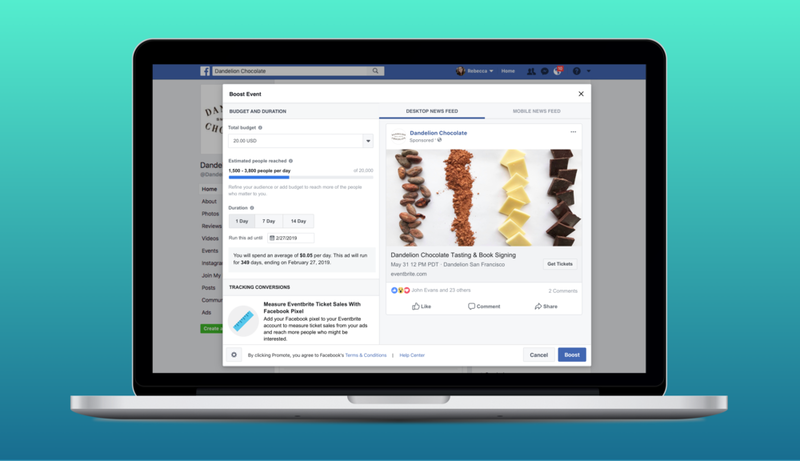 I designed inline Pixel creation and installation upsell experiences to encourage advertisers who are promoting events to implement this feature to more accurately measure results from their Facebook ads. Offsite Ticketing: Pixel attributed offsite transactions increased by 662%, which equals to 5,841 offsite transactions (approximately 201 daily). Pixel Adoption: 42% of all ticketing event ads from this new interface installed Pixel, which is 10x higher pixel adoption than control group. Previously people could target Job Ads to specific demographics including Age, Gender, and Ethnic Affinity. Facebook updated its advertising policies to prohibit discrimination and comply with applicable anti-discrimination laws. I created a new design eliminating categories that enable bias (gender and age), and provide more relevant options including education and work history. I underwent several reviews with 3 partner teams, and escalated for legal approval given the sensitive nature of targeting post-Cambridge Analytica. After Facebook updated its advertising policies, all Jobs advertisers were required to self-certify that they agreed to the new policies and anti-discrimination laws. The original implementation of the certification request was a banner that people were ignoring - the ads disapproval rate spiked from less than 1% to more than 70%! I designed an interstitial that appears once the “Boost” button is tapped. This gives advertisers a second chance to agree to the terms. If they choose to ignore self-certification, they will be blocked from continuing to create ads. Job applications from job ads increased by 8% (20 daily transactions). Job ads creation increased by 10% (49 daily ads creations). Job disapproval rate decreased by 91% (116 daily active ads). Unlike Facebook's lightweight ads interfaces, Facebook Ads Manager is typically used by larger, more sophisticated advertisers. While API support existed, Ads Manager didn't yet have a UI for people to create event ads with ticketing. I created designs that enable discovery and creation of ticketing event ads. Ticketing event transactions contributed by Ads Manager increased by 161% (38 daily transactions).